The February 2018 Knight of the month is our Lecturer for the Fr. James Lee Rizer Council, Sir Knight Arthur [Rocky] Natchus. Rocky has been a Knight since 1998 and is a member of the Fr. Washington Assembly #2184. Rocky has multiple duties with in the Council and the parish of St. Bede. He is the Lecturer for the Council and in the past, has filled the roles of Chancellor and Treasurer. In addition, Rocky is the coordinator and executes the March for Life for the Virginia Peninsula and has done this effort over the past 5 years. In this role, he coordinates with multiple parishes and the Campus Catholic Ministry at William and Mary College to provide the organization, transportation and security for the marchers for life in Washington DC in January each year. In 2018 there were over 120 marchers from 7 parishes/Councils and organizations that Rocky transported to DC this year. Rocky has this event well organized and usually starts with the preparations 10 months before the event. He is the spark plug that keeps the participation here in the Peninsula at this level each year. Rocky is one of the “go-to guys” in the council. His energy and organization skills are invaluable in maintaining the March 4 Life participation in the Peninsula year after year. Rocky also participates generously in other Council events. Rocky puts his faith in action thru his example of doing charitable work and building a sense of fraternity within the council and parish. The September 2017 Knight of the month is our KOVAR Chairman Kevin P. Harper. Kevin has been a Knight since 2005 and he and his wife Denise are faithful members of the St. Bede parish. Kevin plans, organizes and executes the Council’s KOVAR fund raising drive. The drive raises funds for the mentally disabled in the State of Virginia. Kevin has organized the drive both within the parish where during the spring season Knights collect monies from the parish as they leave mass on the weekend. 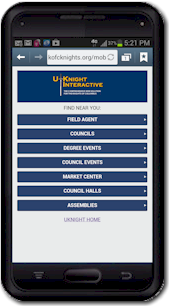 Additionally, Kevin has contacted local businesses to allow the Knights to solicit funds at business entrances on a Saturday during the KOVAR collection period. These drives have been very successful allowing the council to contribute over $2,000 to this cause. Kevin also supports the council in our operation of the William and Mary concession stands at the colleges sports events. This is a major fund-raising opportunity for the council. Kevin puts his faith in action thru his example doing charitable work. The August 2017 Knight of the month is our esteemed Trustee John “Jack” Tier. Jack has been a Knight for a long time. That isn’t because Jack is old, he just joined early. Jack joined the Knights in 1993 and has been a stalwart in our council for some 24 years. 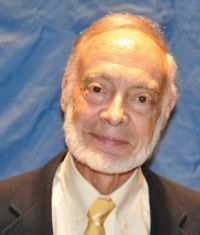 He has been the PGK on three occasions, is involved with many of the Knight’s ministries, specifically: Monthly adoration where he is the organizer, parking for the Easter and Christmas masses where he is the Transporter leader, honcho for the monthly bingo support to Council 511, “spiritual advisor” for Grand Knights of the council and is the leader for the Roses for Life in support of the March for Life program. He is also involved in just about every K of C program where he usually drags along he lovely wife “Bert”. Jack has been the Past Faithful Navigator for the Fr. Washington Assembly 2184 on 2 occasions. An all-around solid Christian man who leads by example. The July 2017 Knight of the month is our new Warden Tim Boise. Tim joined the Knights some 9 months ago, we believe based on his association with our council at the various William & Mary sports events where Tim saw the council brothers working hard at the concession booths to raise charitable funds. Tim received his first degree on 27 October 2016 and quickly flew to the 4th degree on 1 April 2017. In the meantime he has been involved with multiple Council projects and continues in many of these today. Tim was just recently active in the parking and food service that the council provided for the Fr. Kauffmann funeral. Then he turned right around and led the food service for the first Knight’s breakfast on 2 July. But, wait, back in May he was elected as the council’s warden and is performing that role this fraternal year. Tim and his wife, Ana, have two children and live in Williamsburg. What a way to start out a career as a Knight. Keep up the good work Tim. The September Knight of the Month is our Worthy Treasurer and W&M Concession Coordinator Mike Griffin. Mike has been very busy assembling and leading the W&M Football Concessions in the new Zable Stadium. This has been well coordinated and fruitful to date, and Mike’s leadership and guidance have led to substantial fundraising in support of Council activities. Thanks to Mike and all our Knights and family members who have supported this effort. 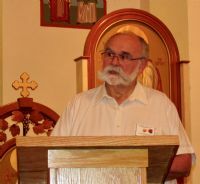 The August Knight of the month is our local Iconographer, Don Merkely for his stellar work in preparing for the Program Meeting and presenting a thorough history of the role of icons and explaining the meaning and use of the icons. Don remains active in the Ascension of Our Lord parish and is featured in this month's Williamsburg neighbor magazine at the center fold. Please let Don know you appreciate all his hard work to make that a great event. The July Knight of the month is our Deputy, Barry Holland. Barry was everywhere last month, attending the State Meeting in my absence, coordinating the newly revised Officer Installation ceremony and the follow-on dinner, organizing the council’s Bingo effort, and working with John Cummings to make the Altar Server Recognition a great success. Barry is incredibly active in the life of the parish, is a well-known fixture among the parish staff for making things happen, and has been working on several initiatives to further our mission of Mercy and Outreach. Please let Barry know you appreciate all his hard work to further our council mission. Knight of the Month is Kevin Harper. Kevin is a stalwart brother who did a fabulous job on the annual KOVAR Drive. He ushers at Mass regularly and was the beaming Father of the Bride as Kevin and his lovely wife Denis hosted the wedding of his daughter last month. Thank him and wish them all well when you see them. Knight of the Month is Walter Rivera. Brand New Third Degree Brother, and in his first year in the Council. It was heart-warming to see him do the introduction for Holy Thursday Mass in English and the second reading in his native Spanish. Brothers like Walter are how we will help build the Domestic Church. Knight of the Month is Ralph Buehrle. Ralph is a fervent Christian and Catholic. Quiet, hard working, dedicated, loving husband and father. A member of the original small faith community at St Bede 20 years ago. A dedicated member of the K”night” Shift monthly Adoration of The Blessed Sacrament. A member of our Christmas and Easter Parking crew. Pat him on the back, when next you see him. (Posthumously). Two decades ago Dan and Sir Knight Mike Mc Dermott Sr, (also departed), kept the Father Rizer Council going though withering membership and minimal activities and almost no funds. They, especially Dan, had a never say quit attitude. A determined Catholic brother Knight he kept faith in the rebuilding of the Council and the assimilation of the next generation. They infused dedication with their up-beat support for the KCIC card sales in freezing, rainy weather. Annually they sent the lone bus of dedicated marches every year to March for life. Determinedly they spend years raffling a needle pointed ornate chair to raise the few dollars needed to maintain active status at the State and Supreme levels. They worked to assist Fr Carr, our pastor, when asked... Dan taught many of us, his next generation, how to be Brother Knights and to love our parish and council family. Dan’s Mass will be at Ft Myer Chapel 18 Feb at 12:30 then he will be interred at Arlington National Cemetery. Remember him in prayers, especially that day. Knight of the Month is Jim Hubbard. Jim has been the Council’s Youth Director for several years now overseeing the Scholarship and Citizenship Awards, Youth Free Throw Competion, Boy Scout Troop at St Bede and many other support activities of the Council... Oh and he came thru for the Parish and Council handling Christmas Parking in crummy weather, with construction issues , and broke down busses...Give him a hearty congratulations. The Knight of the Month is Brother Don Butts. An active Brother, Don is a regular at meetings active in KOVAR and has a heart full of Charity. Don is our Brother on the inside of FISH. Actually; he is the director of FISH. He rolls up his sleeves as a hard worker for FISH, helping with food drives, toting bags in the rain. He, moreover, excels in promoting FISH across the community. Our area poor are richer for his fine efforts. Knight of the Month is Joseph Gurliaccio. Joseph has been in the council a number of years and away at school or, as the case is now, in seminary. Currently, Joseph is on a year of discernment after his first year of seminary in the New Jersey Diocese of Newark. He is a daily mass attendee; frequently serving as sacristan or adult acolyte. His days are spent working with the disabled. He makes a Holy Hour Devotion with the Blessed Sacrament daily. Joseph along with Nick Redmund, whom most have met last month and cited above, is one of the two seminarians supported by Fr Rizer Council. Please keep Joseph in your prayers and let him know that you are praying for him as he labors in Christ’s way to join as one of Peter’s line. Knight of the Month is Fourth Degree Brother Giancarlo Di Fazio for October (who incidentally, married Lyn Fogarty just a few weeks ago YEAHHHH!). Giancarlo has been a stalwart in support of the Monthly 24 hour Adoration; He is a regular at meetings, most monthly activities, and led our KOVAR efforts last spring. He sings in the St Bede choir and assists in the ‘this young man is you’ program. This month we honor Brother Frank Kapper as our Knight of the Month for August. Frank is, one of our newly minted Second Degree Brothers. Y’all encourage Frank to take the beautiful Third Degree, the Knighthood Degree. SK Richard Kisielewski is our Knight of the month for November 2014. Br. 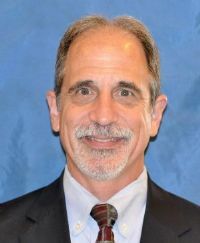 Richard currently serves as Warden of the Council. He is always ready to jump in as he did last Friday when the Council needed to provided set-up and break-down support for the Parish blood drive; SK Richard did both. He is a member of the Parish Funeral Ministry as well as a Member of the Cemetery Committee. He ushers at the 7:15 AM Mass and is a Eucharistic Minister. As indicated by his title “Sir Knight” he is a 4th Degree Knight. Thank you SK Richard for your support and guidance in both the council and the Parish. SK Brian Gillette is our Knight of the month for November 2014. Br. Gillette has been instrumental in this councils support of the PORT program for the homeless shelter in Newport News. His dedication, organizing and support has led to many years of a successful implementation of volunteering and taking care of our homeless in the Newport News area. Br. Gillette is also our Advocate for the council and keeping us up to date on policies and keeping the council on the right track to stay in compliance with the Knights of Columbus Order. Thank you Br. Brian for your support and guidance in the council. SK Cecil Campbell is our Knight of the Month for October. Cecil can be found anywhere when it comes to volunteering, from concessions, to setting up for an event and of course BINGO. We refer to him as our Mr. BINGO, and he works BINGO not only for the council but also for the Assembly. He knows all the progressive and instant games we run and keeps the account of all the pay outs and manages the games in a manner that we have fun working BINGO. Cecil has been instrumental in Fr. Rizer’s fund raising events while being a faithful member of the council and being there for us. We will miss Cecil though as he has decided to move to Ohio to be close to family. Our loss is Ohio's gain. Congratulations SK Cecil Campbell! Br. Bob Burke, who is our Worthy Financial Secretary. The recognition of the FS duties often goes unnoticed. Bob has a lot of duties that he takes care of behind the scenes of the Council’s daily operation. He has to get reports filed to Supreme and State by the deadlines set forth and that all new members are reported and their Form 100’s are submitted on time. He has to collect dues from over 300 council members and post them as being paid, makes sure that the membership data is accurate and kept up to date on our website and with Supreme. He writes the warrants for all payments for the council and he has to often stop what he is doing to go and meet with the Treasurer to get a check cut and delivered to the appropriate people for payment. Br. Bob was out this past month due to a serious illness and yet he had his duties of the Financial Secretary on his mind to take care of us. Worthy Financial Secretary Bob Burke, we as Brother Knights thank you for taking care of us and our needs. Help WFS Bob out by paying your dues online at www.kofc6828.org God Bless! Our Knight of the month this month is Sir Knight Don Seger. Brother Don is never one to be in the limelight to take credit of what he does. To mention a few things, he has been an instrumental part of this council, taking charge of the ceremonials by developing and leading the Degree Teams for the First and 2nd Degrees, Baptism Roses for the entire Saint Bede's Parish, Name Plates, etc. Br. Don is wise and always gives good solid advice, is always there when you need him. He is one that will come and ask how you are doing and do you need any help. He is a mentor to all of us and thank you Br. Don for being there for us. From your Brother Knights! God Bless! Our Knight of the Month for July 2014. SK Bob Hinger and Past District Deputy and PGK has been an inspiration to the Council and all of its members. Brother Bob has been the leader on: 1. 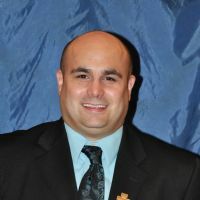 Inaugural District Deputy for newly formed District 30. 2. Project Officer for attainment of the “Ultrasound Machine” for the Hope Center. 3. Planning and Coordinating the District 30 Saint Patrick’s Day Party 4. Service as Council 6828 Trustee. Br. Bob has done many more jobs than we can say here. Our Congratulations and Thanks to “Robert (Bob) Hinger”. Brother Mike shows up at every meeting and diligently takes the minutes, organizes them, and presents them at the next meeting. Mike also volunteers whenever possible to help at Council activities. Brother Mike does a great job and he deserves our thanks. Brother Jim is the Youth Director and he has risen to the challenge of having a Soccer Challenge sprung on him at the same time he starts the search for the Young Man/Young Woman of the Year candidates. Brother Jim does a great job managing the Youth for our Council and he deserves our thanks. Brother Don coordinates the Council’s exemplification teams and has run the Roses for the Mothers of baptized infants for years. Brother Don sets an example of service for all our Council to aspire to follow. Pete and Marie are steadfast members of the St. Bede Church community. They perform many acts of charity together with their children. They are deeply involved with BSA Troop 1932 where Pete is the troop leader. Pete and Marie are at most troop functions and are looked upon as role models. Pete is currently the Chancellor of our Council. Marie is in the parish garden ministry. The Andrews Family is a Christian model for others. The September Family of the Month is the Vadas Family. Not only was George working on both Degree Exemplification Teams, both he and Tima could be found at the W&M Concessions Stand during our two fundraisers in September. He and Tina are have been constants in the Bingo fundraiser for many years and are great participants in council and parish activiites. Please make sure you say thanks to both George and Tina for their continued support to our council. The August Family of the Month is the Labanish Family. John and Betta were the driving force behind the second half of the program meeting, namely, the Dessert Social and Fellowship in the St. Peter Fellowship Hall at Ascension of Our Lord Church. This second half of the meeting served to increase the camaraderie and cohesion between our two parishes, and sparked several comments from visitors that they hoped we would do this again. The success of the fellowship was due to John’s coordination with our Warden and Deputy to ensure they had the hall well-prepared. He and Betta were there well in advance and had the fellowship standing tall! Thanks, John and Betta. The Family of the Month is the Anderson Family. Knight Earl and his wife Felicia are both Eucharistic Ministers and extremely active in the life of the Parish, and their daughter Chloe is an Altar Server. Earl is active with the youth programs has agreed to team up with Mark Tomkins and Jim Finley to form a Council focus group—the goal of which is to develop innovative ways to get the Knights involved with the younger families. Please let the Anderson's know you appreciate everything they do for our Council and Parish. Family of the Month Jack and Mary Ann Gurliaccio. Mary Ann was the key to St Bede getting near continuous daily Adoration established. They are both lay Franciscans, daily Mass attendees, Eucharistic Ministers, and Jack is a sacristan at the CCM Chapel. They are blessed with two adult Children, Maria and Joseph. Joseph is a seminarian in the NJ Diocese and is supported by our Council in the RSVP program. He is completing his year of discernment and recently shared with me that he will be returning to his priestly studies in the fall semester. Maria was the president of Students for Life at VCU last year and is a strong Pro- Life advocate in the Diocese! Family of the Month is Bob and Silvia Garcia. Bob is a Past grand Knight and Former District Deputy and a Fourth Degree Brother and member of the Assembly Color Guard. He has served the Council Faithfully for many years and is currently our Membership Chairman. As we often said years ago in the military, “Supportive Wife Silvia Completes the Team”. This couple is always there for the Parish and our Council. Family of the Month is Don and Polly Seger. This couple has mentored every Grand Knight for the last 20 years. A life long KofC family. Don is a PGK, PFN, FDD, and Former Master of the New jersey Fourth Degree. Polly is the grand Lady of the Council. Together they have attended every type of Council event and parish activity year in and year out. Don instituted the lapel Roses in Support of the Right to Life Marches each year and conceived and instituted the roses to mothers at baptisms during the Sunday Masses. I truly believe the health of Fr Rizer Council today is because of Don and Polly. And for those of you keeping track... Yes, I have recognized Don and Polly twice before, in years past. None deserve it more. They are worthy of our love and recognition. Sir Knight John Cummings and his lovely wife Maureen. John currently serves the St Bede Parish as a sacristan and serves the Council as the Church Director. He is instrumental is the Council’s active support for parish activities and parish life. He and Maureen were for eighteen, or so, years prayerful members of the original St Bede Small Faith Community, a group of eight couples who all served on the parish council and key ministries.This small group served and prayed together to organize for the efforts that led to our current parish location and facilities. They were on the New Church Core Committee, one later established the Monthly Maintenance Ministry, all of the men still in the parish, became Knights and served in active leadership positions and projects. All the while; John and Maureen was a steadfast, quiet, active and prayerful couple. The love and dedication that they pour into all in our organizational families endures through their personal and family trials. It was a “no brainer” to ask John to read for Pope Francis, his Catechesis on Families during the recent Holy Family prayer Service. Please tell this couple you love them when you see them. Family of the Month is The Finley’s. Brother Jim a long time member has been a stalwart on the Blessed Sacrament Monthly Adoration “Knight Shift” for many years. He, Leanne and six children are involved in almost every ministry of the parish. It is a common sight to see Jim as Adult Acolyte and two sons serving as Altar Servers. Everyone in this family is of great humor and cheerfully greets friends and visitors alike. They emulate Christ’s spirit. Let them know they brighten your day too. Families of the Month for December are celebrating a combined 80 years of marriage. You heard it right 80 years. And these love birds are all celebrating 40th Anniversaries on the same day, 27 December. There are side bets being taken to see if either or both of these brothers are going to try and combine an Anniversary present with a Christmas gift. My wife says, “They better NOT”. Please congratulate Brother Sir Knight Jimmy Trentham, PGK, and his lovely wife Joanna, who have two daughters and five grandchildren and one of our newest brother and recent Sir Knight Gerald Della Sala and his lovely wife Eugenia. The family of the Month is PGK and Sir Knight Bob Hinger and Loretta... Bob’s warrior spirit the will of God has sustained him and Loretta for a full year of intense therapy and recovery from the bone marrow transplant necessary to fight the second round of cancer. Prayer warriors in the parish and the council have watched and prayer for this wonderful family. We have monitored Loretta’s frequent and detailed reports of the ups and downs of Bob’s fight. Surely all have felt God’s mercy and love shining on this prayerful couple and their three adult daughters. Bob and Loretta lead the council with great spirit and energy several year’s back. 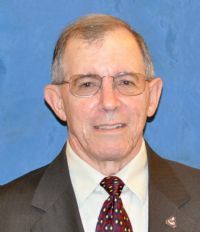 Bob also served as the initial District Deputy for District 30 when it was formed. He set the bar high. Notably his district retreat with Fr Mike Joli at St Joan’s was stellar. It is still cited by many as the most significant K of C event in the area. Finally, Bob is still active from his recovery flat outside VCU hospital; and, I personally thank him as our Council Newsletter editor. The Family of the Month for October is Fourth Degree Brother F. Barry Holland and his lovely wife Cindy...Drum roll please.... They are celebrating 50 year Anniversary of their wedding the 23rd of this month. Barry and Cindy have four children and 13 grandchildren. They are daily Mass worshipers. Deep supporters of our priest, especially the assigned missionaries priests and are at almost every council event when not travelling. Barry is also a stalwart at monthly 24 hour Adoration. Barry and Cindy, joined by much of their family, will attend Mass and receive a special anniversary Blessing at the vigil Mass 24 October at St Bede. Please come out and celebrate with them at that Mass. The family of the Month for August is the Trentham Family – Brother Jimmy and wife Joanna. A truly wonderful family with a long knightly history in Fr. Rizer Council. I’ll withhold details of this selection until my GK remarks during the 10 September business meeting and I’ll post it to the council web site after that meeting. See you There! Please congratulate Jimmy and Joanna for being our worthy Family of the Month! The Brooks are the Council Family of the Month, Brother Darren and his lovely wife Denise. This dynamic duo is ever present at council and parish events. Darren has moved to the position of recorder this year and has already posted his first set of minutes. AND, Speaking of FIRSTS. Drum roll. Their first child is due the end of this month. Please keep all three of the Brooks in your prayers. Congratulate Darren and Denise as our worthy FOM when you see them. The Family of the Month for November 2014 is the Blommel Family: Ross, Angela, Kaitlyn, and Christopher. Ross joined the Knights in 2008 and is a member in the Third Degree. He served one year as Warden and supported the Council with energy until family responsibilities required him to take a short hiatus from participating from the Knights but is now ready to become active in the Council once again. Ross teaches sixth grade US History at Toano Middle School and Angela is a registered nurse at Sentara Williamsburg Regional Medical Center. Kaitlyn (age 10) attends Mathew Whaley Elementary School and was named Council and District Free Throw Champion in the 9 Year Old Girls category in the Council’s 2014 Basketball Free Throw Competition. Christopher (age 9) also attends Mathew Whaley Elementary School. Both children look forward to competing in January. Ross and Angela feel truly blessed to be part of St. Bede and have felt fortunate to celebrate the children’s early sacraments at our vibrant parish. They are in the process of buying property in Toano, Virginia where they will build their forever home within two or three years. Please join me in congratulating them on their new property and on being Family of the Month for November 2014! The Family of the Month for November 2014 is Bart and Peg Crews. Bart spends many hours organizing and coordinating the Ride to Recovery dinner for wounded veterans in May and the Keep Christ in Christmas program in November and December. He participates in many Council and 4th Degree Assembly activities throughout the year. He also presents the rose at Baptisms at St. Bede’s. 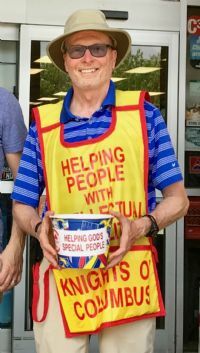 In addition to his Knights of Columbus activities, he is also the lead usher, a member of the Funeral Ministry, a daily Sacristan and Eucharistic Minister. Peg is working towards her Master’s Degree in Theology at St. Leo’s University through the Diocese of Richmond. She volunteers in the Social Ministry. Peg also leads a prayer and spirituality group, serves as a Eucharistic Minister and is training to be an Adult Acolyte. The Family of the Month for October 2014 is the Plourde Family: Jeff, Kristy, Matthew 23, and John 20. Kristy and Jeff are the facilitators for “A Quick Journey Through the Bible & Acts of the Apostles Bible” study groups. Jeff assists Deacon Dominic with the Catholic Parenting session on Sunday mornings, assists with the VIRTUS training at St. Bede’s and sometimes works with the Monthly Maintenance Ministry. He also uses his volunteer work with the Habitat for Humanity’s Restore to locate useful items for the Parish Hope Pregnancy Center & social services. Kristy serves on the Parish Council and is a Den Leader with Cub Scout Pack 1932 at St. Bede’s. All four of them are Extraordinary Ministers of the Eucharist. Matthew and John participate in the Young Adult Ministry and usher at Mass. John participates in the weekly Perpetual Adoration and the whole family attends the Eucharistic Adoration on the third Wednesday of the month. Congratulations Plourde Family! The Family of the Month for September 2014 is the Jack and Mary Ann Gurliaccio Family. Jack and Mary Ann work together in the Welcome Home Ministry. Jack serves as a Sacristan at Catholic Campus Ministry (CCM) and assists Mary Ann with the Adoration Ministry. Mary Ann is the Adoration Ministry Coordinator. She is also involved in JOY Ministry, Prayer Warrior Ministry, and substitutes in the Hospital Ministry. Joseph, 26, is a Seminarian in the Archdiocese of Newark, NJ. Maria, 23, is President of Students for Life at VCU and was retreat coordinator for CCM at VCU. This year, she will be volunteering with Youth Ministry at St. Bede’s. God Bless! Congratulations to our Family of the Month for August for 2014. William (Bill) and Donna Reynolds Family. Their children are Patrick (25), Aimee(25, daughter-in-law), Paige (21), William (16), Thomas (14), Joseph (11), and Miriam (6). Patrick and Aimee live in Woodbridge, VA and are expecting a new baby. Bill was a co-founder of Boy Scout Troop 1932 at St. Bede’s, and currently serves as an Assistant Scoutmaster. He previously was Scoutmaster and taught CCD. Donna taught CCD and Confirmation, and was the lead organizer of the recent Matthew Kelly Presentation in March 2014. She is also active and maintains the Lighthouse Catholic Media stand at Saint Bede's Commons. Their sons former and current members of Scout Troop 1932. Paige was an Eucharistic Minister and Joseph is an altar server. The entire family participates in weekly Adoration of the Holy Eucharist. Our Family of the Month for July 2014 is Earl & Felicia Anderson and their daughter Chloe. They are very involved in the Family Ministry at St. Bede's. At last month's Block Party, Felicia and Earl spent many hours preparing activities, coordinating volunteers, etc. During the party, Earl served as an announcer. They are also active parents in the Youth Programs that Chloe attends. Congratulations “Anderson” Family. Worthy Sir Knight Jim has been a fixture at both the Fr. Rizer Council and at the State where he was most recently Worthy State Treasurer. Over the years, Jim and Regina have been dedicated supporters of the KofC supporting the Fr. Rizer Council while at the same time spending countless hours supporting State activities and helping those in most need as a member of VKCCI (VIRGINIA KNIGHTS OF COLUMBUS CHARITIES, Inc.) Jim and Regina also devote a great deal of time in church activities as Adult Acolyte, Lecturer, Extraordinary Ministers, and helping with church bookkeeping. Jim has also been a humble 'battle-buddy' for Francois Moussaolli providing him rides to meetings and Knights events. Join me in congratulating Jim and Regina on their selection as Family of the Month. The Morse family is led by Brother Paul Morse and provided the council with Brother Brendan Morse. Patty Morse helps with the Children's Liturgy and the entire family is active in the Church. Every January they attend the March for Life! Join me in congratulating Paul and Brendan on their family's selection as Family of the Month.